Mr. Donald Trump hates Mexicans and immigrants that come from the neighbor country. 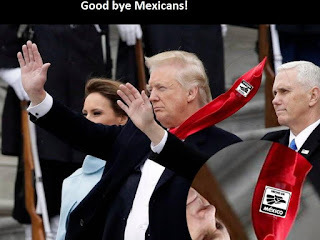 He catalogs them as rapists, drugs dealers but he can´t hide that Mexicans work hard in America and outside. He sometimes wears Mexicans products. Despite that, he is set all his efforts to kick out immigrants from the US.